PRICE REDUCED!! Welcome Home! Location, Location, Location! 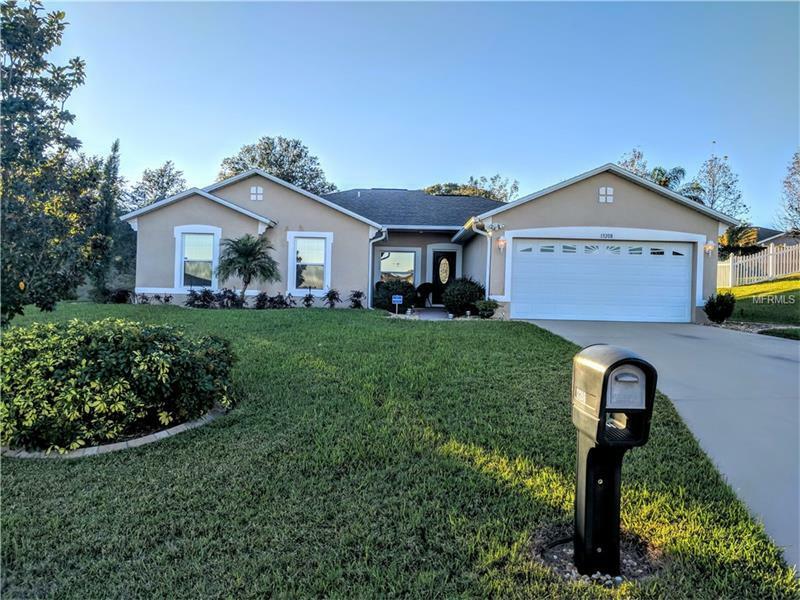 This beautiful 4/2 is located right near the shops and restaurants of Clermont Landing. This split bedroom plan is nicely upgraded and pride of ownership shows throughout. The home is located on a beautiful over-sized lot with custom landscaping in the front and the back and a pergola covered porch. This home is rare, as it has solid concrete walls, with an in wall Home Team pest system. The kitchen has wood cabinets, with porcelain tile and granite counter tops. The windows have protective film to help with energy costs and to protect from shattering. All bedrooms have ceiling fans and there are upgraded light fixtures inside and out. This homes shows wonderfully and it will not last long, so schedule you viewing appointment today! Pet Restrictions: Any and all restrictions should be verified with the HOA by the buyer.